MG Properties Group has been actively involved in the acquisition, development, rehabilitation and management of apartment properties since 1992. MG Properties Group manages over 55 apartment communities, which consists of over 17,000 apartment homes in California, Arizona, Nevada, Washington and Oregon with a total market value of over $2 billion ! Responsibilities Want to be part of a dynamic team?? Then come grow with us!! We are looking for a dedicated, career-driven individual to join our team as an ASSISTANT MANAGER at a property in Citrus Heights, CA! This person will maintain accurate resident records; oversee updates of rents, deposits, and application fees from residents; issue notices when necessary; oversee rent collections and deposits; conduct physical property inspections; answer incoming calls; greet prospective clients, show apartments and more. Qualifications * Must have STRONG sales and bookkeeping skills! * Demonstrate good decision making & attention to detail! * Must have at least two years property management experience! * Must have strong computer and administrative skills! Yardi preferred. DOE plus bonuses! Benefits! Rental discounts and more!! Responsibilities If you have dynamic sales and customer service skills, then we have an excellent opportunity for YOU! We are seeking a LEASING CONSULTANT for a property in Elk Grove, CA! This position is responsible for providing exceptional customer service to residents and potential residents, while utilizing professional sales and marketing techniques, and solid customer service skills to maintain high occupancy at the apartment property. Other duties include but aren't limited to: * Meets and greets prospective residents, in a timely and friendly manner. * Qualifies applicants for apartments in a thorough and timely manner. * Coordinates with maintenance staff to ensure smooth move-ins for the new residents. * Maintains thorough and up-to-date rental files. Accurately enters rental data into the computer. * Prepares leases for and oversees the signing of leases by new residents. * Assists in completion of monthly administrative tasks and ensures property's paperwork is organized and complete; including, but not limited to: posting monthly rent checks, sending out late notices, and processing lease renewals. * Interacts with residents in a professional manner to resolve maintenance issues, handle complaints, and ensure timely payment of rents. Qualifications * 2 years property management experience preferred! * Excellent sales and customer service skills are essential! * The desire to work in a team setting with a company that loves to promote from within * Professional etiquette essential! We offer competitive pay plus leasing bonuses, benefits, rental discounts and more! MG Properties Group has been actively involved in the acquisition, development, rehabilitation and management of apartment properties since 1992. MG Properties Group manages over 55 apartment communities, which consists of over 17,000 apartment homes in California, Arizona, Nevada, Washington and Oregon with a total market value of over $2 billion ! Responsibilities Are you a skilled team-player ready to take on an exciting new challenge with our growing company? MG Properties is seeking an experienced Community Manager for a beautiful property in Elk Grove, CA! This person will be responsible for building and training their team, marketing the property, overseeing and maintaining the budget, and all operational tasks to help the property thrive! Qualifications * Must have at least 2 years RECENT experience managing a fast-paced apartment community of over 150 units! * Supervisory/management experience a must! * Yardi experience preferred. * Team building and effective management skills a must! * Demonstrated operations skills including marketing, budgets, sales, etc. are required to make this position a success! We offer a great working environment, competitive pay, comprehensive benefits, bonuses and rental discounts! We look forward to hearing from you!! MG Properties Group has been actively involved in the acquisition, development, rehabilitation and management of apartment properties since 1992. MG Properties Group manages over 55 apartment communities, which consists of over 17,000 apartment homes in California, Arizona, Nevada, Washington and Oregon with a total market value of over $2 billion ! Responsibilities Are you a skilled team-player ready to take on an exciting new challenge with our growing company? MG Properties is seeking an experienced Community Manager for a beautiful property in Citrus Heights, CA! This person will be responsible for building and training their team, marketing the property, overseeing and maintaining the budget, and all operational tasks to help the property thrive! Qualifications * Must have at least 2 years RECENT experience managing a fast-paced apartment community of over 150 units! * Supervisory/management experience a must! * Yardi experience preferred. * Team building and effective management skills a must! * Demonstrated operations skills including marketing, budgets, sales, etc. are required to make this position a success! We offer a great working environment, competitive pay, comprehensive benefits, bonuses and rental discounts! MG Properties Group has been actively involved in the acquisition, development, rehabilitation and management of apartment properties since 1992. MG Properties Group manages over 55 apartment communities, which consists of over 17,000 apartment homes in California, Arizona, Nevada, Washington and Oregon with a total market value of over $2 billion ! Responsibilities Want to be part of a dynamic team?? Then come grow with us!! We are looking for a dedicated, career-driven individual to join our team as an ASSISTANT MANAGER at a property in Elk Grove, CA! This person will maintain accurate resident records; oversee updates of rents, deposits, and application fees from residents; issue notices when necessary; oversee rent collections and deposits; conduct physical property inspections; answer incoming calls; greet prospective clients, show apartments and more. Qualifications * Must have STRONG sales and bookkeeping skills! * Demonstrate good decision making & attention to detail! * Must have at least two years property management experience! * Must have strong computer and administrative skills! Yardi preferred. DOE plus bonuses! Benefits! Rental discounts and more!! Lewis Apartment Communities is actively recruiting for a full-time, personable and responsible individual for the important position of NIGHT SERVICE MANAGER. This position would be located at our large, beautiful 222-unit apartment community Carmel at Woodcreek West in Roseville. Your days off would be Sunday/Monday. This full-time evening and night-time hour positions ( 8-hour shifts typically between 5pm-3am ) would provide supervision of large apartment communities by enforcing rules and regulations in a positive, proactive manner. Parking enforcement, property patrols, minor maintenance repairs, and an overall "customer service-first approach" will be just part of these positions' responsibilities. Qualifications: Previous military, public safety or law enforcement experience highly preferred Ability to handle stressful situations professionally Ability to self-supervise and work independently Valid CA drivers license and insurance required Working weekends is required Drugscreen & Background performed upon hire In addition to a competitive hourly salary, Lewis offers full medical and dental benefits, 401k savings plan with company match, apartment discounts, paid holidays, vacation time, educational reimbursement, continued training, advancement opportunities and more! 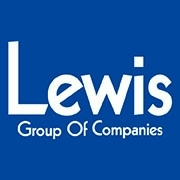 Join the Lewis Group of Companies and you will be an important part of a winning team with a long history of successful apartment development and management. Our dedication to service is the key to a successful and rewarding future. This culture of both excellence and camaraderie is what makes Lewis a wonderful place to grow your career. Apply today! SUMMARY Under the direction of a Senior Mortgage Officer, originate real estate loans from various lead sources. Provide exceptional service while guiding members through the home loan process. Analyze members’ financial data and use that information to provide them with home loan products that meet their needs. ESSENTIAL DUTIES AND RESPONSIBILITIES Originates real estate loans on behalf of the Senior Mortgage Officer. Analyze detailed financial and credit data, matching borrowers needs with an appropriate loan program and level of risk. Make outbound calls to realtors and prospects and schedule appointments. Maintain constant communication with members, vendors, and other staff to uphold clear expectations throughout the closing process. Responsible to send required documentation to Mortgage Assistant in a timely fashion so up-front mortgage RESPA disclosure requirements can be met. Maintain current, complete & accurate status in origination systems for all loans assigned. Submit timely, accurate and complete mortgage files to Real Estate Operations for processing, underwriting, doc drawing and funding. Follow up on assigned referrals in timely fashion Connect weekly with processor to verify status of loans in pipeline Meet minimum production goals assigned. Other duties as assigned. QUALIFICATIONS To perform this job successfully an individual must be able to perform each essential duty satisfactorily. The requirements listed below represent the knowledge, skill, and/or ability required. Reasonable accommodations may be made to enable individuals with disabilities to perform the essential functions. EDUCATION AND/OR EXPERIENCE Associate's degree (A.A.) or equivalent from two-year college or technical school; three to five years related experience. LANGUAGE SKILLS Ability to read and interpret documents such as title reports, loan applications, loan disclosures, and policy and procedure manuals. Ability to write routine reports and correspondence. 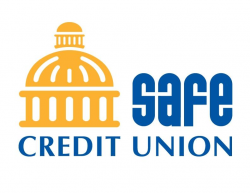 Able to effectively communicate loan status and upcoming time frame expectations with members, 1st Mortgage Officers, Realtors and other referral partners. MATHEMATICAL SKILLS Ability to calculate figures and amounts such as origination fees, discount points, interest, commissions, PITI payments, & percentages. REASONING ABILITY Ability to apply common sense understanding to carry out instructions furnished in written, oral, or diagram form. Ability to deal with problems involving several concrete variables in standardized situations. CERTIFICATES, LICENSES AND REGISTRATIONS NMLS license OTHER SKILLS AND ABILITIES Ability to type 35 words per minute Prior residential lending experience Familiar with LOS systems, and underwriting & funding requirements OTHER QUALIFICATIONS Strong sales and organizational skills Availability to assist borrowers on evenings and weekends Detail-oriented Customer service experience Excellent communication skills Solution oriented problem solver Demonstrated drive, initiative & desire to get work done quickly Strong desire to continue learning about the residential mortgage industry, provide cutting edge support and improve the financial well-being of SAFE’s members Proficient in MS Office Applications (Outlook, Excel, Word, Power Point) Mortgage Industry experience PHYSICAL DEMANDS The physical demands described here are representative of those that must be met by an employee to successfully perform the essential functions of this job. Reasonable accommodations may be made to enable individuals with disabilities to perform the essential functions. While performing the duties of this job, the employee is regularly required to sit; use hands to finger, handle, or feel and talk or hear. The employee is occasionally required to walk and reach with hands and arms. Specific vision abilities required by this job include close vision and ability to adjust focus. WORK ENVIRONMENT The work environment characteristics described here are representative of those an employee encounters while performing the essential functions of this job. Reasonable accommodations may be made to enable individuals with disabilities to perform the essential functions. The noise level in the work environment is usually light to moderate. Equal Opportunity Employer/Protected Veterans/Individuals with Disabilities The contractor will not discharge or in any other manner discriminate against employees or applicants because they have inquired about, discussed, or disclosed their own pay or the pay of another employee or applicant. However, employees who have access to the compensation information of other employees or applicants as a part of their essential job functions cannot disclose the pay of other employees or applicants to individuals who do not otherwise have access to compensation information, unless the disclosure is (a) in response to a formal complaint or charge, (b) in furtherance of an investigation, proceeding, hearing, or action, including an investigation conducted by the employer, or (c) consistent with the contractor’s legal duty to furnish information.